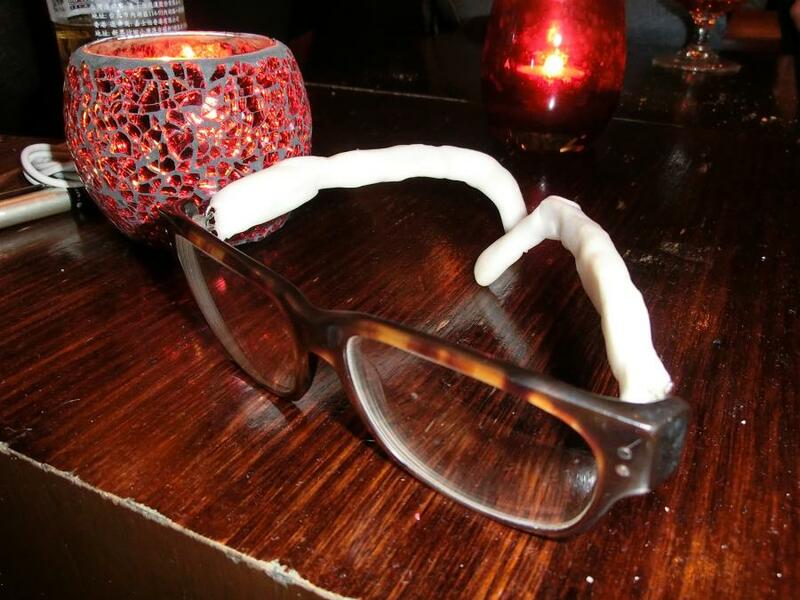 We spotted this fine pair of glasses at a Canberra bar on Wednesday night. We snapped a quick photo, but didn't manage to get the backstory. It will remain a mystery as to whether this is a repair job, a fashion statement, or both.